Dodge sales had been dismal for the past two years. 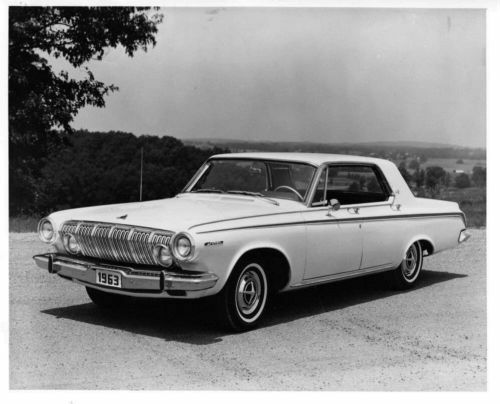 Chrysler’s President Townsend hated what he saw coming down the pike for Dodge in 1963 and pulled the fire alarm. 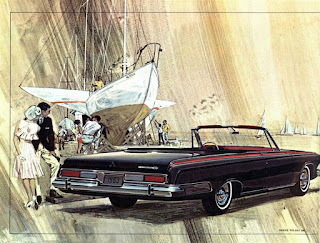 Virgil Exner was fired and replaced by Elwood Engel, who had designed the 1961 Lincoln. The full-sized marque needed to be completely reimagined. This vehicle would be a crash program. 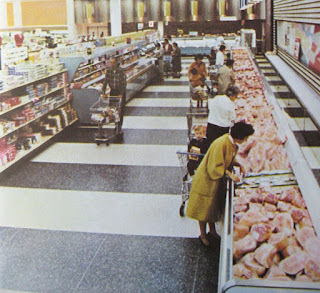 The design team rolled up its collective sleeves and got to it in the spring of 1961. Burning the candle at both ends, the revamp was complete by November—only 5 1/2 months. It set an industry record. 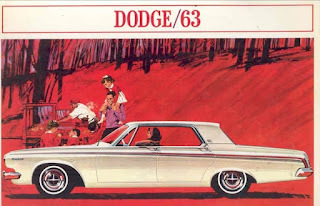 The 1963 Dodge was hot stuff. Wheelbase was increased by 76 millimetres (3 inches) to 3 022 millimetres (119 inches). The stunning front end was inspired by Virgil Exner, and wisely retained. His trademark was that the grille would 'smile'. It was the designer's last corporate hurrah. The grille was bold. A veritable stylized Niagara of chrome, six dramatic waterfall divisions cascaded. The eye-catching divisions wore a precipice-look, convex crease near the leading edge of the hood. That line formed the illusion of the classic light bar, as it aligned perfectly to the centre of the headlights, which in turn, tunnelled into the fenders. Within each section, four chrome streams plunged to the bumper. Sister lamps rode in the grille below the light bar crease. The front bumper was a tasteful wrap-around affair, with a pronounced up-turned lip. Turn signal lights nestled discreetly in the bumper. The side envelope was refreshingly crisp and uncluttered. Wheelbase was increased by 76 millimetres (3 inches) to 3 022 millimetres (119 inches). 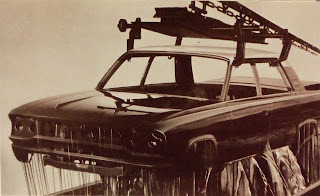 A raised beauty crease ran from the top of the fender-mounted headlamps and ended its journey in a kicked-up C-pillar. 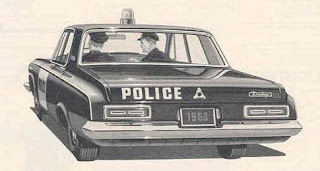 The revised pillar was enlarged greatly and tasteful reverse-slant numerals were embellished there.The butter knife-line ran from the leading edge of the front fender and jutted brashly forward to crown the headlights. Dramatically, it raked back to emphasize fleetness. Dodge script was enshrined in a black and chrome rectangle. Not for Canadians, the Dodge 800 and Custom 800 were sold Stateside. 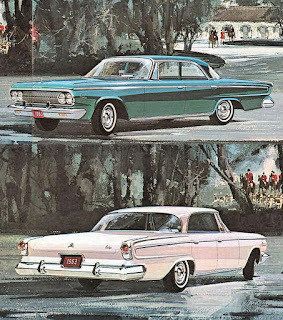 To pick up DeSoto fans after the brand was scrubbed, Dodge created a much larger 800 and Custom 800 based on the Chrysler platform. The latter two were not available to Canadians because there was a zero interest in land yachts. 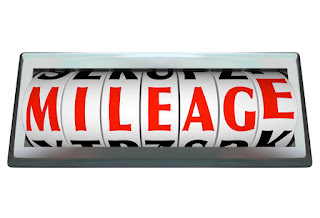 Chrysler Canada pioneered the industry’s 5-year, 50,000 mile warranty. 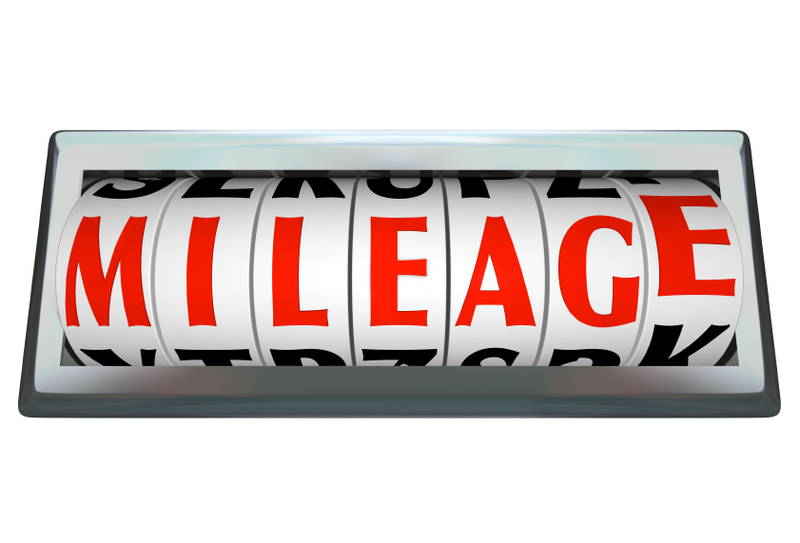 That alone generated unprecedented foot traffic into dealerships. This season all Dodge automobiles were blessed with an alternator and an anti-smog closed crankcase ventilation system. The clutch was improved. Engineers further kissed each Dodge with front Torsion Bar Suspension--to hug the road, reduce sway when corning, minimize nose dives, dips and rear-end squats. “Hailed by experts as the finest ever fitted to a Canadian car, the Dodge ride is level, steady and sure-footed." Rambler pioneered deep-dip rust proofing. Bodies were now of unitized construction. Taking its cue from industry pioneer, Rambler, the galvanized steel and stainless steel shell was not only immersed into seven anti-corrosive baths, it was further sprayed with corrosion-proofing compounds. Road cancer was vanquished—or at least significantly delayed. Every Dodge was reputed to be ‘tough and solid’. 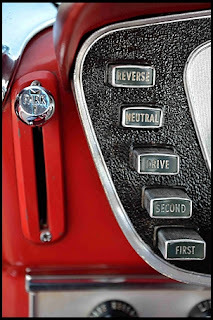 The manual transmission was a three-speed synchromesh design. Torque-Flyte automatics operated with Mechanic Push-Button ease. Two dozen B-bodied Dodge models were built in Windsor; nary a one was imported. The base 220 models, all equipped with Chrysler’s famed slant-six engine, were the best selling of the Dodge bunch. Budget-conscious Canadians snapped up 6,004 of them. The two-door sedan cost $2,675, the four-door sedan listed for $2,739. Six-seat wagon cost $2,172 and the nine-seater was $3,299. 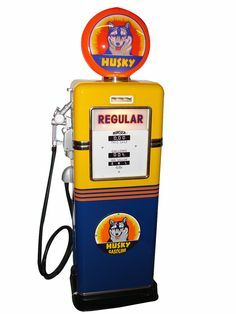 Advertising emphasized the engineering features. Not a word was wasted on describing interiors. Front and centre was engineering. For $120 extra, the optional V-8 was a steal. 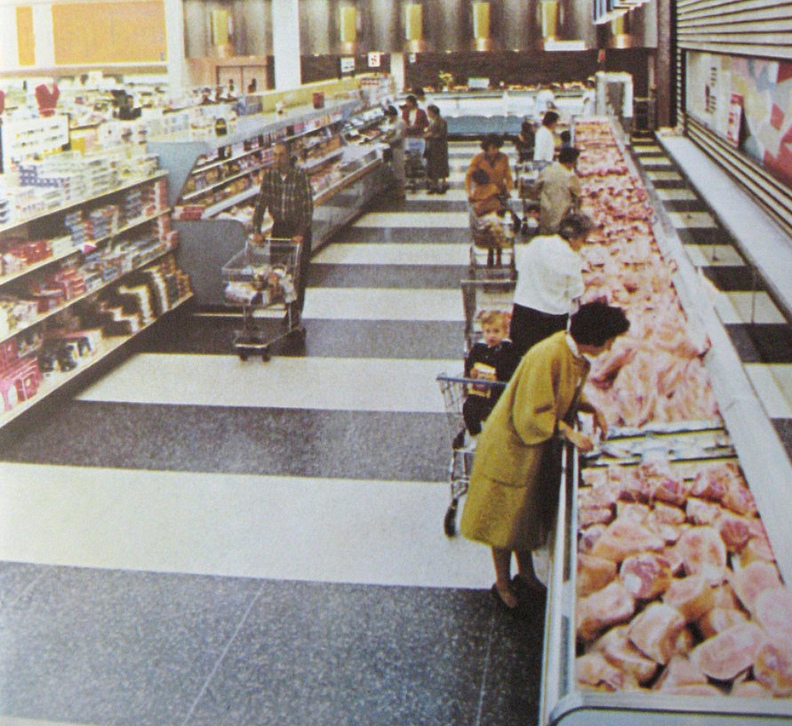 With a total of 3,130 units built, the 330 models with the durable slant-six mill was the second best seller. It was ‘a happy choice for the family man’. 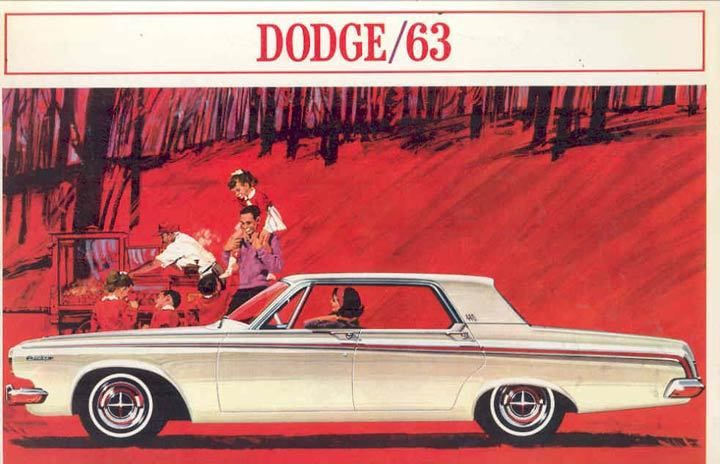 Although Dodge was clearly a full-sized car, publicity reported that it pinched on gas like many a compact. The four-door sedan cost $2,901. The two-door hardtop cost $2,958. 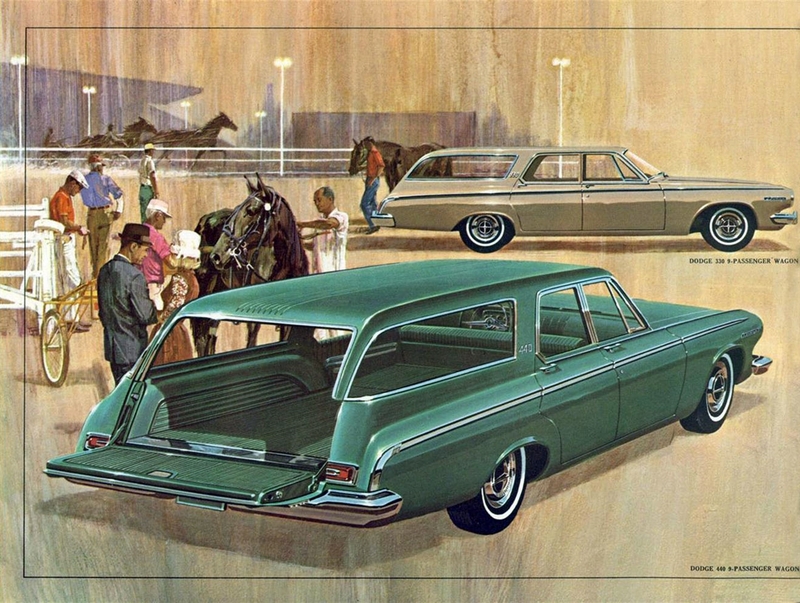 The six-passenger wagon was $3,287. The nine-passenger hauler commanded $3,414. Once again, the V-8 was available for $120 more on the barrel head. The 440 series showcased Dodge’s classy and sassy glamour gals. This was the Dodge with impeccable good taste, good manners and breeding. Contemporary upholstery choices were described as being rich, lustrous fabrics. However, one could upgrade to vinyl upholstery that ‘looks and feels and wears like leather’. The luxurious, chair-high bucket seat package featured a locking centre console, “providing a home for cigarettes, sunglasses and other motoring paraphernalia.” Special emphasis was placed on the deep, plush carpet, reinforced to ‘stop ladies’ stiletto heels from piercing it’. 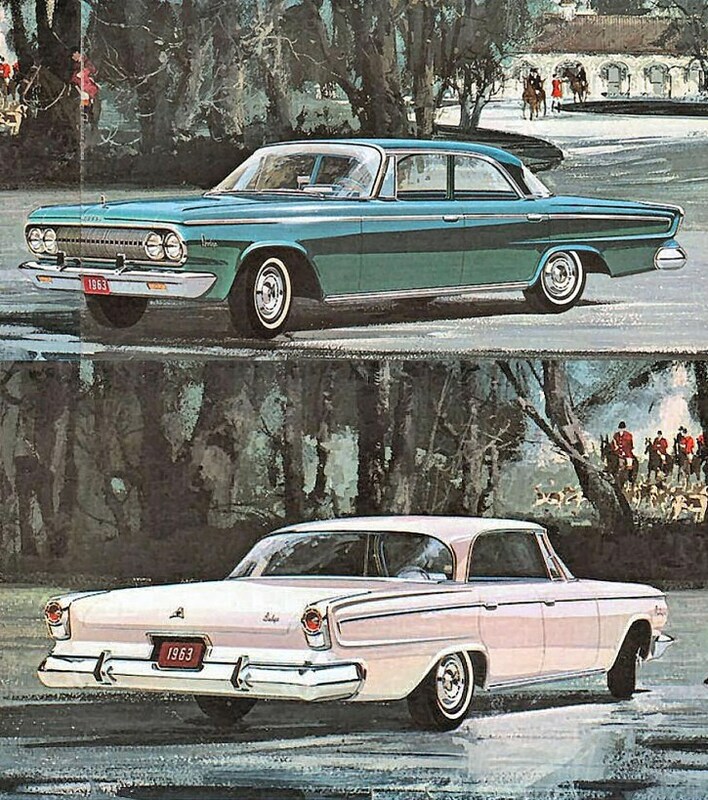 A two- and four-door hardtop were priced at $3,080 and $3,157, when equipped with the six-cylinder engine. A convertible and a four-door sedan. The sedan listed for $3,070 and the price tag on the ragtop read $3,412. For a modest $180 more, one could step up to the V-8 power plant. Consumers bought 2,613 of the 440 models with the V8 option. Of that number, 1,208 of them were convertibles. The instrument panel was smart-looking, informative, yet simple. Controls and different-sized circular dials were housed in a stylish trapezoidal pod that floated atop a concave panel. Push-button transmission was placed on the left, the heater buttons to the right. Below the pod was a chrome insert that ran two-thirds of the way across the instrument panel. It housed the radio, ignition and parking brake. At the right flank of the chromium panel, one found the glove box. Above it was the marque’s insignia. Options were as long as the Confederation Bridge. Add-ons included the bucket seat package and the TorqueFlite push-button automatic transmission. Low Impact Power Steering, Power Brakes, Prismatic Flip-Type Mirrors, Cigar Lighter Padded Dash, the Music Master Radio, All-Vinyl Interiors, Sure-Grip Differential, Electric Clock, Back-Up Lights (standard on 440), Variable Speed Electric Wipers, Glare-Reducing Solex Windshield, Seatbelts, Whitewall Tires, Deluxe Wheel Covers, Windshield Washers, Lights for the trunk, glovebox and finally, parking indicator Lamps. Sales were solid. Workers at Chrysler Canada built 17,431 Dodge cars for the calendar year for domestic sales and 148 units were exported. © James C. Mays 2018 All rights reserved.